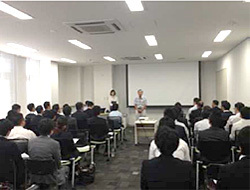 On October 9th and 10th, our 8th Open Factory was held at our Minami Alps Factory in Yamanashi Prefecture. This year's event was attended by 53 representatives from 33 agents. After a general introduction of our factory and R&D center, participants could choose three seminars to follow out of a total of eight. Topics included for example our Water Purifier line-up, Plasma Cleaners, Laboratory Furniture and the Yamato Web Based Network for Sales Dealers. 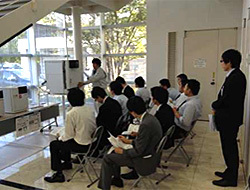 By doing so we were able to hold intensive seminars for small groups. 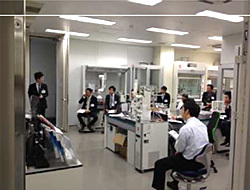 This year the Yamato Scientific Open Factory was held over two days for the first time. Participants were able to choose between 1-day attendance and the full two days, making this a great opportunity to even further improve mutual relations with our valued sales dealers.